Today, there is a growing grassroots struggle inside Palestine, much as there was inside apartheid South Africa. 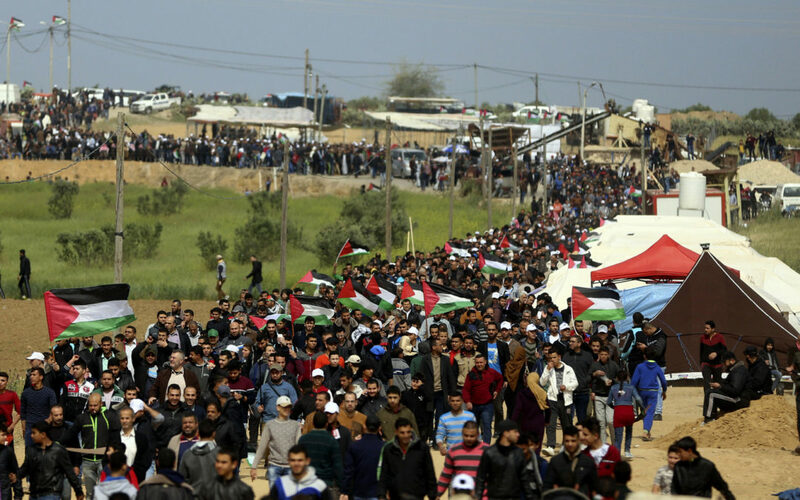 An intensified international solidarity movement with a common agenda can make the struggle for Palestine resonate in every country in the world. And this is exactly what the BDS movement is doing making apartheid Israel launching a war against it. In Gaza, our goal now, as civil society organizations, is to lift the genocidal siege as a first step towards implementing all basic rights guaranteed under international law. To accomplish this, many activists, Palestinian and international, have launched a boycott campaign modelled on the global South African anti-apartheid campaign. This campaign is a democratic movement based on the struggle for human rights and the implementation of international law. Our struggle is not religious, ethnic, nor racial, but rather universalist; it is a struggle that guarantees the humanization of our people in the face of a dreadful Israeli war machine. Hence the importance of relating BFDS with the Great March of Return.